Hello my name is Sydney and i have been taking care of children for 10 yrs. I love to have fun. 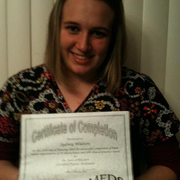 I have my CNA and BLS. I have a lot of experience with infants. I Hope Ill be a great fit for your growing family. Hope to hear from you. Have a great day. Sydney doesn't have any reviews yet.